The Huawei Mate 10 is officially launching next month on 16 October, and there is still more than a month to go. 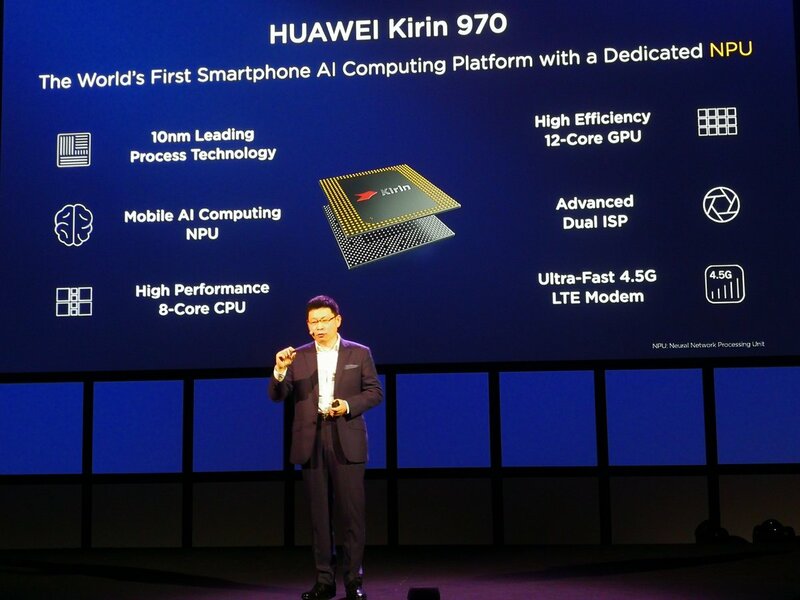 Huawei had an event today at the IFA 2017 in Berlin where the company announced its most powerful smartphone SoC Chipset, the Kirin 970. The chipset was in the news for quite some time, and today, it’s finally official. 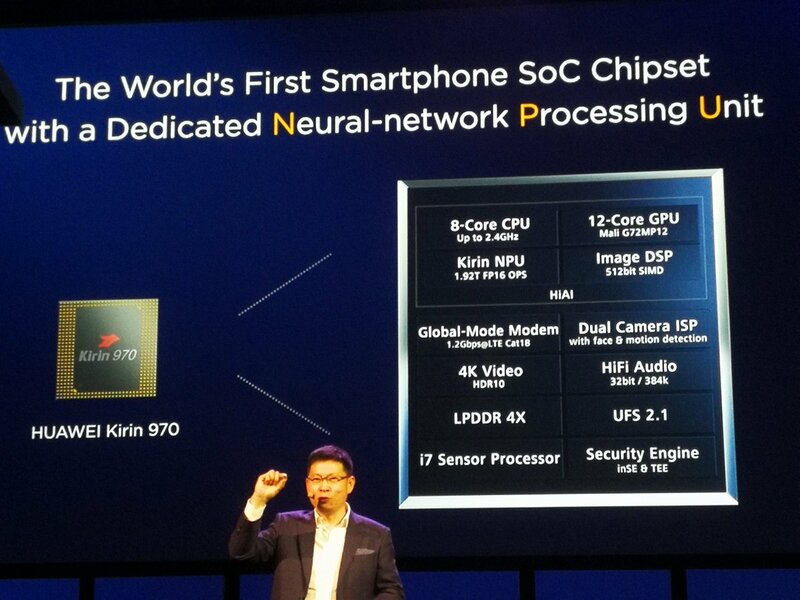 One of the highlights of this new chipset is that this is the world’s first smartphone chip with a dedicated Neural -network Processing unit or NPU. It comes with a faster GPU and Faster LTE, as per the company. In case you’re wondering, the NPU or Neural-network Processing Unit is solely for the Artificial Intelligence (AI). The performance of this unit is rated as 1.92 TFLOPs of FP16 which, if you don’t know, is three times more than that of the GPU of the previous Kirin 960 (0.6 TFLOPs FP16). The Kirin 970 is built with the most advanced 10nm TSMC Process. With this technology, up to 5.5 billion transistors have been integrated into a single square centimetre. The size of the Kirin 970 chip is roughly the size of the thumbnail, and it has an octa-core CPU, a 12-core GPU, dual ISP, high-speed 1.2Gbps CAT, 18 Modem and also HiAI Mobile computing architecture. The devices like the Mate 10 etc. will be powered by this chipset and will be able to know and understand their users with real-time image recognition, voice interaction and intelligent photography. 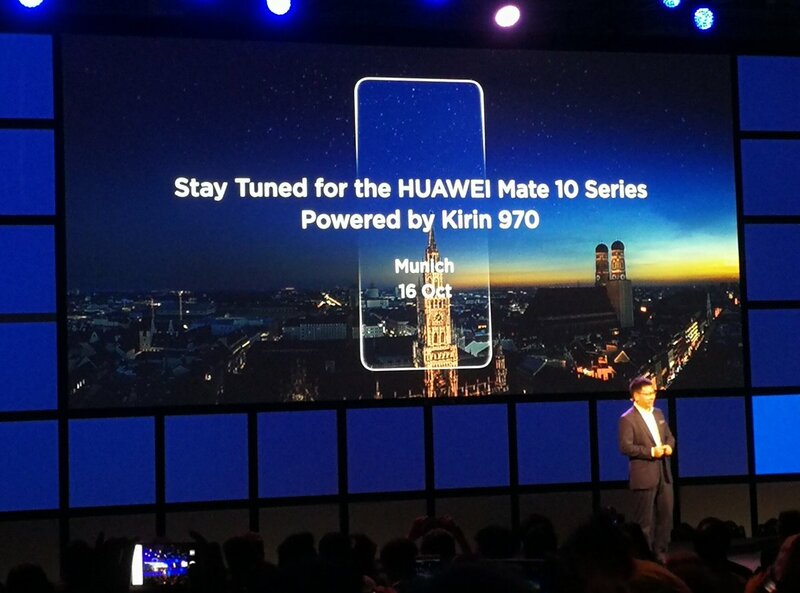 At the event, Huawei also announced that the Mate 10 would be officially launched on 16th October at the event in Munich. So, seems like the Mate 10 is going to be a really powerful smartphone powered by this latest and most powerful chipset by Huawei. What are your opinions? Do let us know via the comments section. Thanks for the Images Roland.